Bajaj Pulsar, India’s No. 1 sports bike brand brings the third season of the highly acclaimed Pulsar Festival of Speed across Delhi (Gurugram), Hyderabad, Mumbai, Pune, Bangalore and Chennai. Starting from 23rd December onwards at Leisure Valley ground, Gurugram, the festival will give Pulsar customers a chance to indulge in professional lap racing on a track setup for ultimate biking experience. 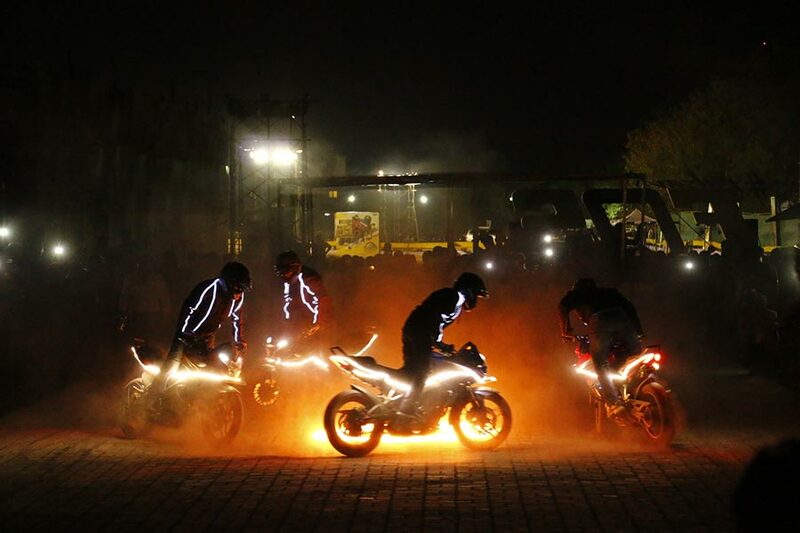 Touted as biggest biking festival, it is certain to provide a fun filled extravaganza with track racing and stunting competitions and breath taking stunt shows. 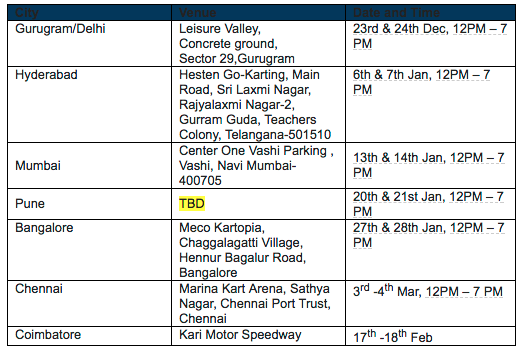 The Pulsar Festival of Speed spread over 2 day pit stops will be hosted at an iconic location in each city with race track set up providing an opportunity to the Pulsar fans to participate in lap racing and become the ultimate winner of Festival of Speed. The first day is entirely dedicated to clinics and the 2nd is competition and festival. In addition to race championship, the third season will offer some spectacular activities to the Pulsar fans with the introduction of India’s First Stunt Championship. 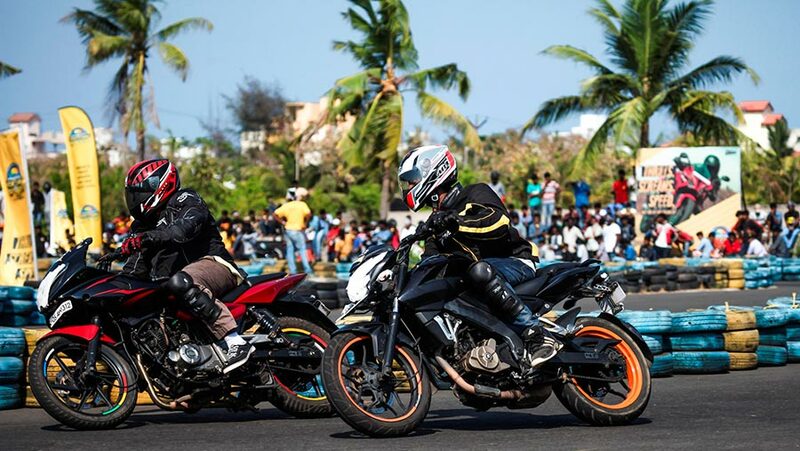 Furthermore, all the amateur racing and stunting enthusiasts will get mentorship from the ace champions and riders spread over two Day Pit Stop sessions to fine tune their skills. 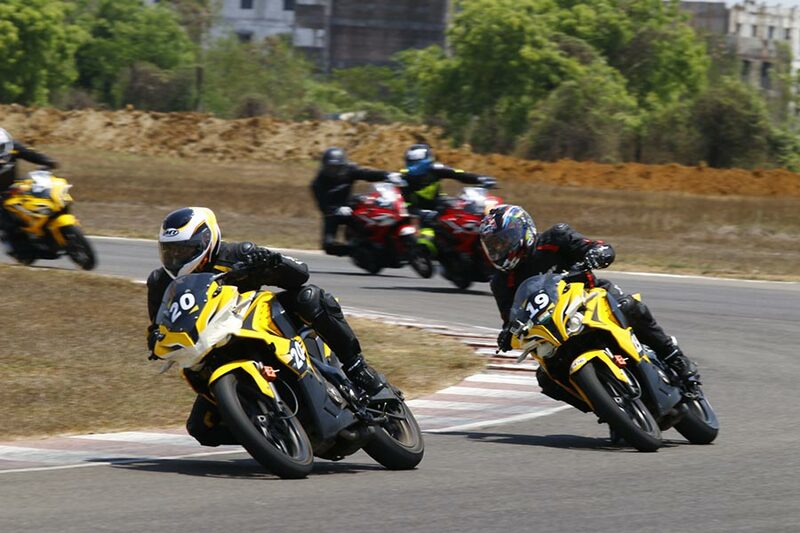 The racing is open to all Pulsar RS200, NS200/AS200 and 220F owners in 3 separate categories while stunt championship is open to all Pulsar owners. The festival will continue to bring the racing genes of Pulsar on track with track racing, stunt biking, live bands, Pulsar experience zone with display of new 2018 edition Black Pack Pulsars and much more. As a loved brand we wanted to give biking enthusiasts a chance to fine tune their racing and stunting skills. Towards the same we are introducing pro clinics for amateur racers and stunters where they will get a chance to train with the best professionals and improve their skills. The festival will witness registrations by Pulsar fans to participate in races conducted over laps to choose the best 6 racers in each city. The 36 winners to then compete with each other in a Grand Finale on Kari Motor Speedway, Coimbatore to become the ultimate winner followed by prize distribution. The National Pulsar Festival of Speed Champion will be rewarded and recognized by Bajaj Pulsar with Prize Money. Similarly, the stunt face offs will help with one winner from each city and the top 6 stunters across country will then train with GRz at their training ground and have a chance to become the 1st Pulsar stunt Champion and the Prize Money. Are We Finally Getting a Mustang Bullitt?